HomeRestaurantsPizza Mia in Vero Beach: These guys know pizza! 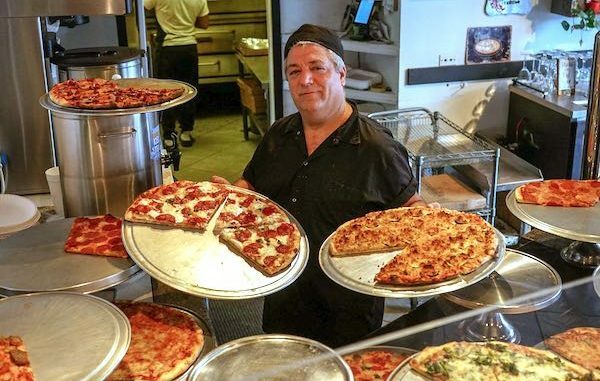 Pizza Mia in Vero Beach: These guys know pizza! Pizza Mia in Vero Beach, Florida. VERO BEACH – It took a while but I think we found the best pizza in Vero Beach. The old black and white family photos on the walls bursting with Italian heritage, a sign reading “Good food is a family tradition ” and the oldies music playing from above, should have given it away. Although, the first thing you see as you walk into this quaint and casual little spot is the picture window sized display of almost a dozen types of pizza. 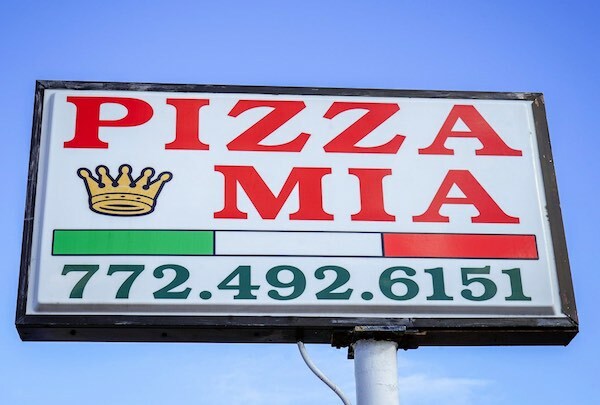 Not like most pizza joints in town, at Pizza Mia you can order per slice giving you an opportunity to try a few different slices and find your favorite. 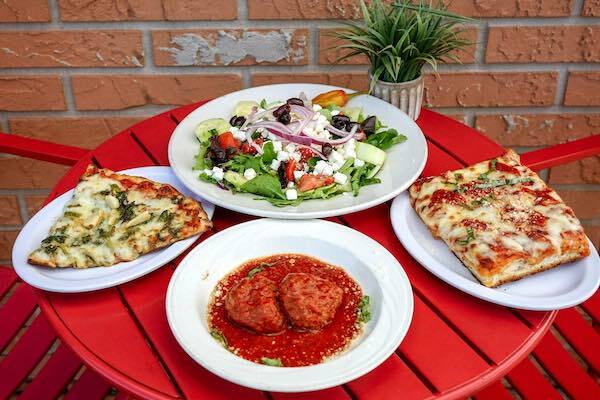 On my visit, a friend and I ordered a slice of Sicilian pizza, a slice of broccoli rabe pizza, a side of meatballs and a Greek salad. 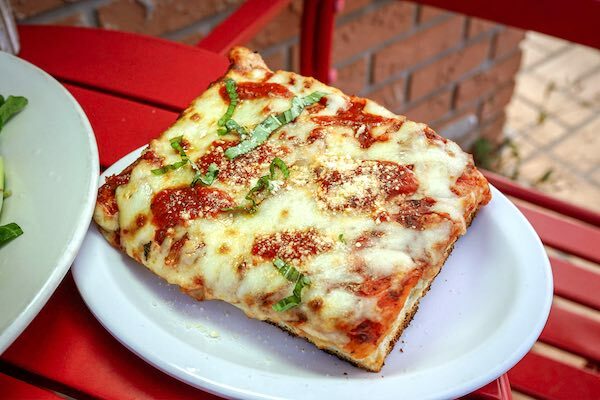 Sicilian pizza is a staple in New York pizzerias and one of my all-time favorites. Sicilian pizza is made a little differently than its sister the thin crust. The pizza dough is first stretched into a deep tray, covered and set aside for the yeast to react and the dough to rise. Then coated with a thin layer of tomato sauce and baked. Later the sauce, cheese, and toppings are added and baked again until the cheese is bubbly and golden. They really got this one right here. The dough is fluffy and airy with a light crispy bottom and crust. It was not over sauced and of course, topped with tons of mozzarella. The broccoli rabe was an excellent slice. I’m told it is a new customer favorite. 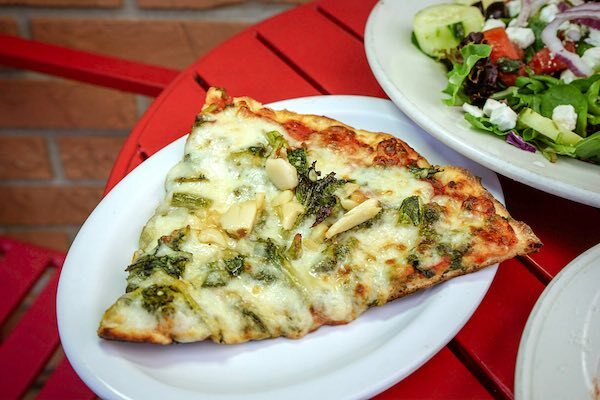 Broccoli rabe sauteed in garlic and oil, house-made marinara and topped with plenty of melty mozzarella. I could smell and taste the fresh garlic with each bite. Nice and thin crispy crust cooked perfectly. These guys know pizza! 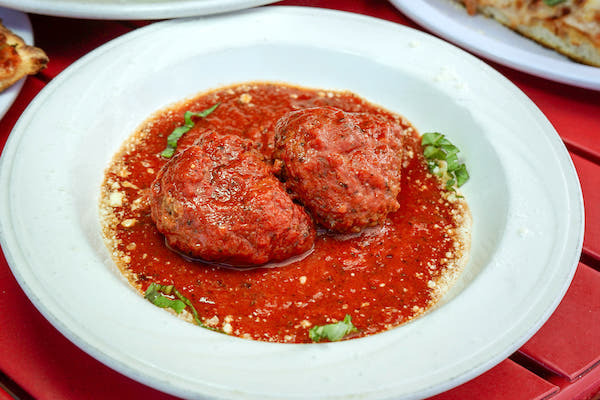 The meatballs are homemade just like mama used to make. They were moist, delicate, just the right size and mixed with the right amount of breadcrumbs. Served with plenty of house-made marinara topped with a couple pinches of parmesan. The sauce was really impressive. Touched with just the right herbs and spices and just a little sweet. I finished it off with a spoon like it was the soup du jour! Greek salad. What a tremendous salad, literally a huge portion piled high with cool crispy cucumbers and big beautiful chunks of tomato. I love that earthy smell of a freshly cut salad. 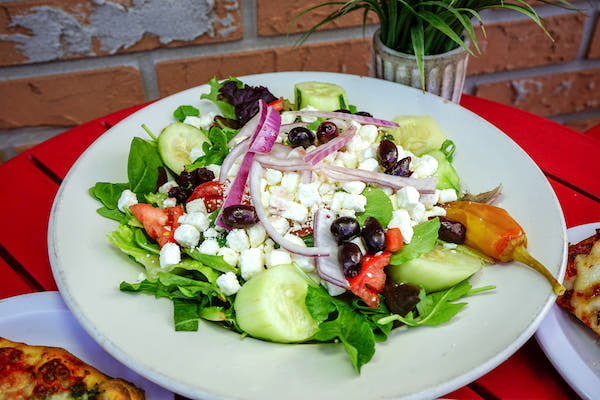 Topped with handfuls of kalamata olives and feta cheese. Feta makes it beta! Pete, wife Lydia and daughter Mia, originally from Long Island NY previously owned three restaurants. It’s obvious they use quality ingredients and know the pizza game and Italian cuisine like it’s nobody’s business. They are open for lunch and dinner, serve beer, wine and even Stella Artois on tap. And it’s not just pizza, they serve many of the traditional Italian favorites like Baked Ziti, Lasagna, Chicken Parmesan ect. Only downside is that seating is limited and the dining room is small. We visited on a Saturday evening about 6:30 and got lucky to snag a small bistro table outside. Dinner hour gets quite hectic so go early or order takeout. Bitesquad delivers to any address in Vero. 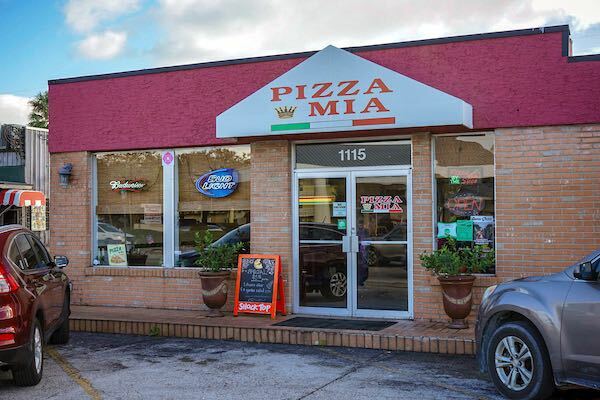 Pizza Mia is on US1, tucked in next to the Patio Seafood Tavern. I nicknamed Pizza Mia, “My secret spot”. Let’s keep it that way. Be sure so say “Hi” to Pete the owner. Tell’em Brian sent ya! 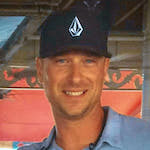 Born and raised around New York’s diverse culture and cuisine, it’s no surprise that Brian LaPersonerie inherited a palate for great food. His background – German, Welsh, English, French, Irish and even Sicilian – has exposed him to all styles of cooking; whether at holiday gatherings or from his talented mom in their family kitchen. Brian says, “we eat with our eyes first” so capturing and presenting the deep colors of food is an art and an important part of Brian’s reviews. Being a life-long foodie, with experience in and out of the kitchen has taught Brian the more technical parts of cooking and hospitality. But in theory, he’s just a regular person, like you and I, who loves food and wants to help further your culinary adventures!